The Guardian has run an inflammatory piece claiming that the produce in Almería’s greenhouses are produced by Africans working in “conditions of 16th century slavery”. Spain’s salad growers are modern-day slaves, say charities (The Guardian.co.uk). Charities working with illegal workers during this year’s harvest claim the abuses meet the UN’s official definition of modern-day slavery claims the article. Frankly, the article seems to be about spot on. This was picked up and run in Spain by El Mundo, which limited itself to rabbiting on about the negative issues raised abroad. La Voz, always a few days behind, has raised the issue today, in what appears to be an editorial style lifted directly from the Iranian Official Press. It doesn’t go so far as to call Britain the Great Satan, but the front page editorial (I have never seen one of these before, ever, in years of subscribing to our local Pravda), entitled “Manipulation á la English”, followed by pages 2 and 3, denounced The Guardian, British fiddling, the SOC syndicate of workers (cited in The Guardian), pissed off workers trying to get back at the innocent and hard working farmer who employed them, and anything else they could think of. The intention, La Voz says, seems to be to stop British consumers buying Spanish produce. Although Felicity Lawrence, the writer, was not directly implicated in this British Plot to destroy Almería’s commerce (why? why else would the Brits get their tomatoes from? ), The Guardian comes in for a battering of historic proportions from the provinces farmers, who have, via La Voz, directly accused The Guardian of stupidity, half truths and lies. The piece published in The Guardian on Almería’s agriculture should be a case study in faculties of Journalism as a revelation of the manipulation of information, professionalism secularism and stupidity. Claims that the conditions of work in the fields of Almeria are similar to those suffered by the slaves of the 16th century are an insult, not to the Almerian people, but to the intelligence of those who make these claims. The extravagance of these claims is so delirious that, as from now, all of its news reports are discredited by association. Paradise does not exist. Not in Almería, nor in London. Working under a greenhouse requires an effort at times titanic. The Almerians were and are the first to know this. As we all know, some of the conditions in which other citizens, from across the sea or other places, live and work, are manifestly and necessarily in need of improvement. In Almeria, in London, and any other imperfect part of the world, there are cases against which we should never resign ourselves with a sense of being against the irreparable. With its evident intent of manipulation, the report in The Guardian searches, from the first line, to make British consumers reject Almerian products. To make service to this pretense they construct a seperate reality, partial in their sources, and obscenely false in citing some of their data. There is no greater lie than a half truth and this is exactly what some media outlets construct, in a pre-mediated fashion, when they approach the reality of Almería. The lamentable thing is that in the exercise of their profession, so detestable, headlines such as these in The Guardian lend themselves, which has always attempted to be a reference of quality and impartiality. This English newspaper, with its manipulated report about Almeria, has written one of its worst ever pages. Felicity Lawrence had better think twice before accepting any invitation to the province, she’s likely to get stung up if she ventures back into Níjar. Behind the story, of course, is the very real fear of the local farmers that, since about 80% of the province’s production is sold in the UK, any such story will impact on takings, a 2 billion€ industry according to The Guardian’s article. There is also a recent wave of anger directed towards certain local farming groups who are cutting out the traditional wave of middlemen to sell their wares directly to British supermarkets at a lower cost. Oh, and of course, nobody wants the moros to start thinking silly things like they may have “rights” that are “internationally recognised” or even “constitutional”, and, heavens forbid, nobody wants them rioting again. Keep ’em quiet, keep ’em under your thumb and if they get uppity, ship ’em back. 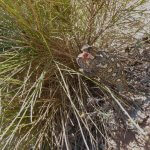 This entry was posted in Blog and tagged algriculture, almeria, farm, nijar, slavery, the guardian by David. Bookmark the permalink. Not to say that the Guardian is entirely wrong, but their attacks would be better targeted at a very small and powerful number of agencies that control commerce between Almeria greenhouses and British store shelves. I know the case of one farmers coop that attempted to export directly and found that no one was willing to supply them with an airplane. The press, just like the farmers, are shooting for the easiest target. As an Expat in Spain it makes me laugh when, on my infrequent trips to Iceland (the Supermarket) that I see people buying their salad & fruit & veg. The labels clearly state ‘Grown in Spain’ but have almost all been grown here in Spain – then shipped to the UK only to be shipped back here again. Crazy ! Next → Next post: Comedy acts in Zurgena?